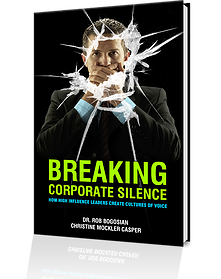 Breaking Corporate Silence, the first extensively researched book on this prevalent phenomenon, highlights the difference between a Culture of Silence and a Culture of Voice. It provides diagnostics to allow leaders and their organizations to measure the consequences of silence and it provides a tested set of practices that leaders can use to engage the voice of their employees and sustain that voice. The result: a culture of engagement, honesty, productivity, rapid knowledge transfer and enhanced competitive advantage. Breaking Corporate Silence covers the causes, symptoms and results of silence. It provides thought provoking self-reflections, and tools, based upon their collective 55 years of research, interviews, coaching, observations and insights. Available on Amazon and Barnes & Noble. For more information click here to visit www.breakingcorporatesilence.com. Influence by Design, comprehensive and critical expertise to enable you to successfully influence others and drive business results to heightened levels. Coming soon. 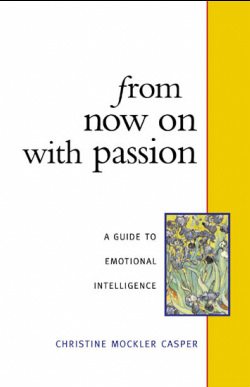 From Now On With Passion - A Guide to Emotional Intelligence has received numerous accolades. Christine Mockler Casper has managed to take a topic that is mystifying and impractical to many and make it relevant, valued and easy to comprehend. The timing could not be better as individuals, leaders and corporations seek to transition effectively and strategically, seize the moment and live authentically. The book focuses on understanding, and using the power of your emotions. No great feats in life have ever been accomplished without the power of emotions behind them. By conscious alignment of the head and heart, you are purposeful in your personal and organizational evolution and deliberate in decision making. The six components of high Emotional Intelligence are examined and practical tools are provided to immediately and sustainablely increase EQ. The six components are: self-awareness; self-management; self-motivation; interpersonal management; leadership effectiveness; and self-actualization. From Now On With Passion will help you build your Emotional Intelligence and put the creative power of your emotions to work for you. Learn to recognize and overcome self-imposed obstacles to growth, understand and manage your feelings, and choose how to respond to the emotions that motivate others. Increased EI will enable you to relate more authentically and compassionately, and reach your full potential as an individual, an organizational team player, family member, and member of your community. Click here for the paperback from Amazon. Click here for the paperback from B&N. ﻿was awarded Book of the Year award in the Self-Help category at The Annual BEA Expo in New York City. There were over 4,200 finalists and over 72,000 people in attendance at the Expo. by the Bay Area Independent Publishers Association.